Marie and Pierre Curie, physicists, 1904. Photograph with their daughter Irene. 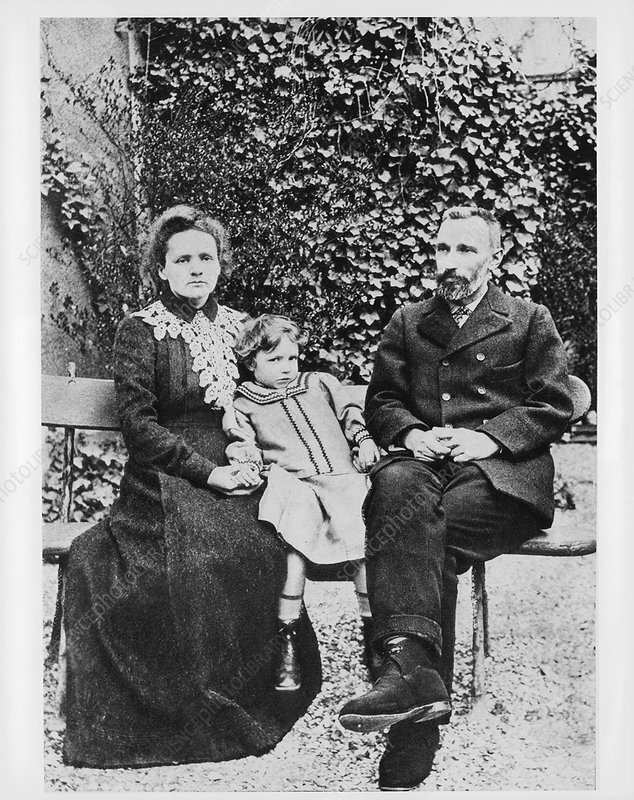 Curie and her husband Pierre continued the work on radioactivity started by H Becquerel. In 1898, they discovered two new elements, polonium and radium. Marie did most of the work of producing these elements, and her notebooks are still too radioactive to use. She went on to become the first woman to be awarded a doctorate in France, and continued her work after Pierre's death. In 1903 they shared the Nobel Prize for Physics with Becquerel.